What is a WineTubeMap Social anyway? Our wine tastings take you on a journey of wine covering with some familiar flavours and some lesser known gems so there’s something for everyone to discover. 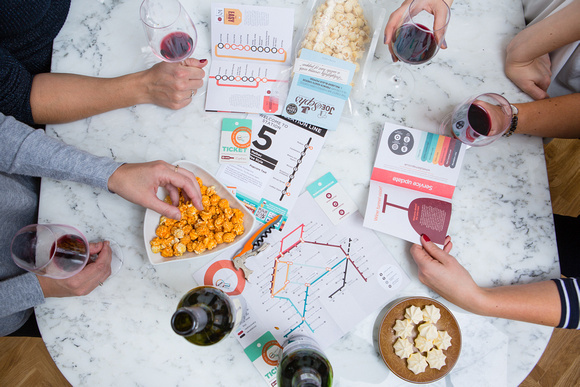 Our WineTubemap Social events are designed to get people chatting and mingling, instead of being presented to. It takes off all of the pressure of entertaining and the host(s) can join in too. The WineTubeMap Social kits have a handy set of wine accessories so you can hold your taste anywhere, they include corkscrews, chillers and anti spill pourers. Handy! No journey would be complete without a map, guidebook and journey planner. We include fold out maps and journey planners for everyone and a signed Pocket Guide to Wine as a prize or gift too. We want you to relax, so we provide you with a personalised video based on a questionnaire you fill in, to talk you through the tasting. That way no-one has to be in charge (unless they want to!). 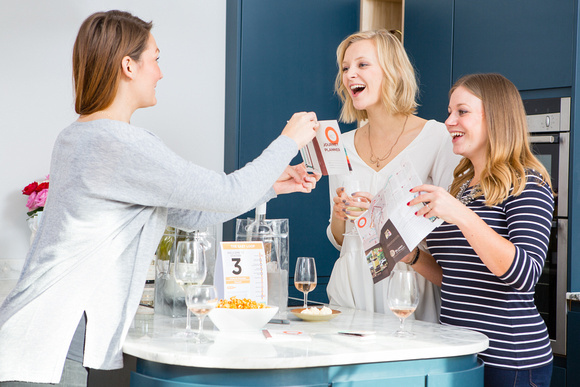 We provide you with really clear instructions to help you set up your tasting, it’s not hard, but we make sure you’ve got a checklist so you don’t forget to do something, like chill the wine for example. If you want to pimp your tasting we’ve included a number of online features, like food matching to turn your tasting into a dinner party, or extra wine resources for the wine geeks. Just follow the links below. 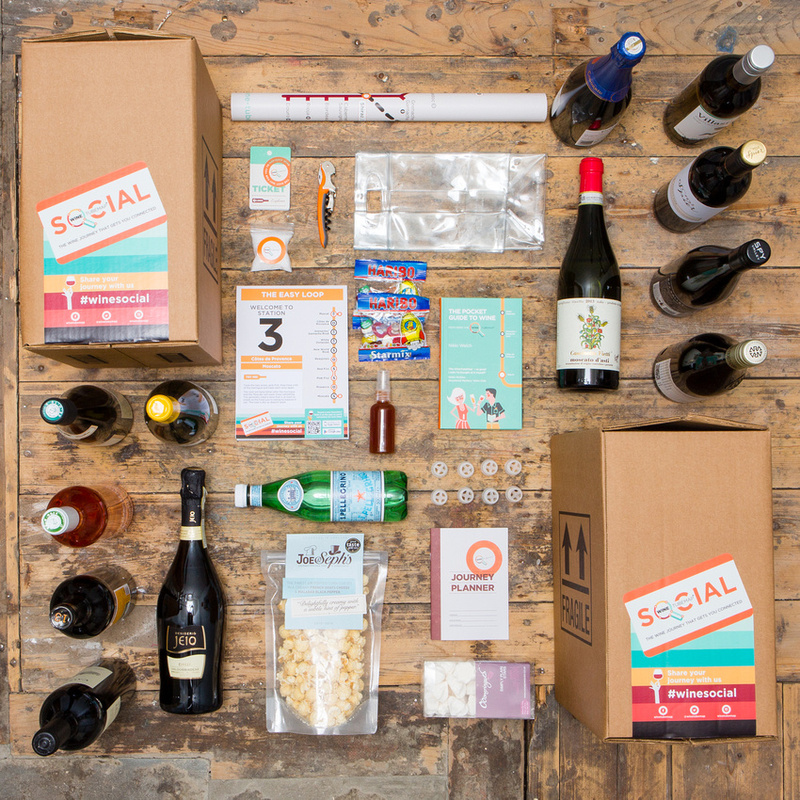 Here’s Nikki to tell you about the WineTubeMap Social Tasting Kits and what you’ll get in your kit. We use personalised videos to give your event a unique feel and tailor our style to your event whether it’s business or pleasure. It puts everyone at ease and makes sure that you know exactly what you’re doing. Here’s the practical stuff – what it costs, how it works and how long it takes. Our tasting kits can accommodate a range of numbers for each kit. 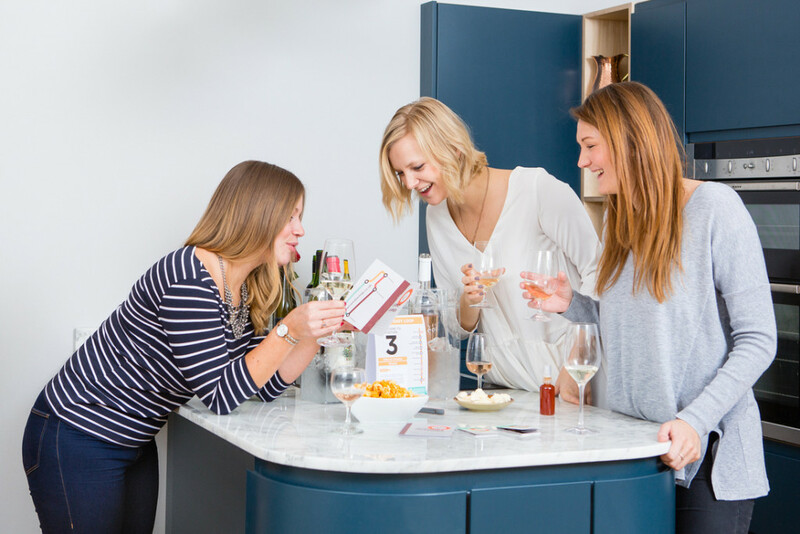 The price ranges from £16.50 per person for a kit for 12 or 24 people, to £25 per person for a kit for 8 or 16 people, this reflects that you get more wine per person when you are sharing between fewer people. If you are a larger group just get in touch and we can arrange for a kit to be made of the right size. Full pricing details are shown here – all you do is select your party size and enter your party number and we’ll prepare the right kit for you. If you want to pay separately we can organise that for you, just drop Nikki an email (nikki@winetubemap.co.uk) and we’ll set up a page where you can each pay your share. You will receive a confirmation email with a link to a questionnaire to fill in so we can personalise your kit – you should respond to this within 48 hours for us to be able to get cracking on your kit. You will receive your accessory kit and personal video link within 4 – 7 days dependant on us receiving the questionnaire in good time. All of the set up instructions are in the kit and also sent by email. There isn’t much to do. You will need to buy a bag of ice and make sure you’ve got wine glasses, the rest is provided. You can find some ideas of ways of adding to your party, like interesting food matches in the link at the bottom of the page. Once you’re all set up it’s easy. We recommend you gather everyone together (maybe with a cheeky glass of fizz*) and watch the video. It’s a good idea to download it first so you aren’t relying on wifi. The the video is personalised so you get a name check and we make sure we’re talking your wine language, so if you love all the geeky stuff we’ll go into a bit of that but if you’re more into the overall experience that’s what we’ll focus on. You’ll visit 6 stations on your wine journey, each with a sensory match. We recommend that you spend 8 – 10 minutes on each station to experience them fully. At the end you can vote for your favourites with the gold stars and ‘resample’ any you need to. The tasting should last for about 90 minutes – 2 hours depending on how thirsty you are. Well the wine tasting was a great success! 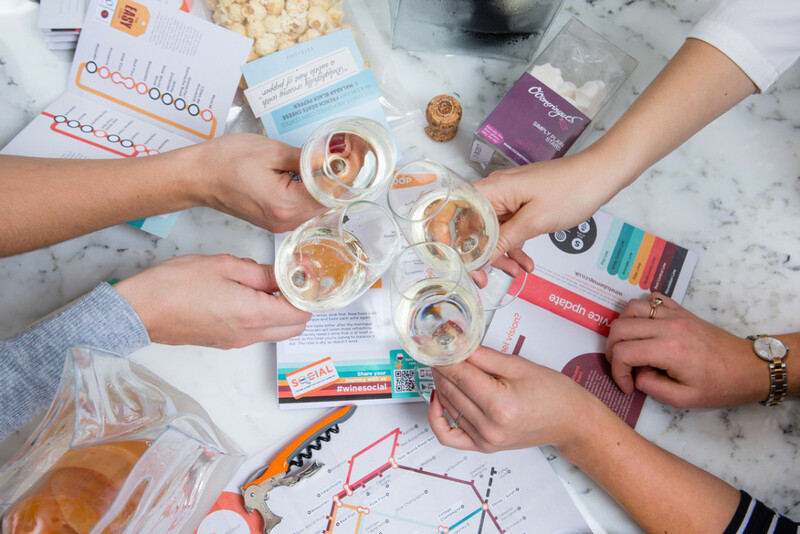 Everyone loved the video & the fact it was the creator of the tube map […] The sensory elements were great and everyone really liked it as a twist on a normal wine tasting […] So many people commented on everything that came in your package, saying how well organised it was. We had a brilliant weekend and everything went perfectly. Thank you so much for helping make it fab. I just wanted to say thanks for such an interesting wine tasting yesterday. Your WineTubeMap is a great idea and I think it worked really well for our group. Everything you need from some hints and tips about setting up your party, food recommendations to turn your event into a full on feast or some ideas to add some sparkle to your event.